Katona wins Player of the Year, Oakley and Himeno finish respectively behind him. After a CSL campaign filled with out of the norm individual brilliances, the league's reporter Onz Chery plucks his brain out to pick the top five performers of the season. Cedar Stars Academy attacking midfielder Christopher Katona was undoubtedly the top player of the 2017-18 CSL season. Katona was nominated Player of the Week the most times, in five rounds, and led the league in scoring and in assists during the regular season, tallying 26 goals and 23 goal-passes in 17 matches. The 27-year-old rolled his sensational form during the regular season into the playoffs, netting the game winning goal of CSA’s semifinal match versus last year’s champions NY Greek American and assisting the equalizer of the 2-1 scoreline. Katona only played 17 minutes on the field in the final versus Lansdowne as he stepped in the goal for the Stars’ starting keeper Bryan Lopez, who suffered a concussion during the match. The midfielder was pleased to win the award and thanked his loved ones for their support. Katona also noted that the club’s coaching staff and his teammates played an essential part in him winning the accolade. “I understand that this is an individual award, but nothing I received this year individually is possible without the continuous support by Coach Oliver [Papraniku] and Coach Bujar [Gjata] and my teammates," the New Jersey native said. Katona was one of the most versatile players of the season, playing forward, midfield, defense when needed due to injuries--and even keeper in the final. The former Richard Stockton University player conceded one goal during the regular 90--a penalty kick. “I grew up as a backup keeper, but was always used on the field. When Coach Oliver called my name to go in the goal, there was no hesitation there,” Katona recalled. Previously in his career, Katona won the 2012-13 Richard Stockton University Male Athlete of the Year, made the NSCAA First Team All-American in 2011 as a sophomore amongst various other achievements. This season’s Player of the Year nomination was the first one in the modern era of the CSL. 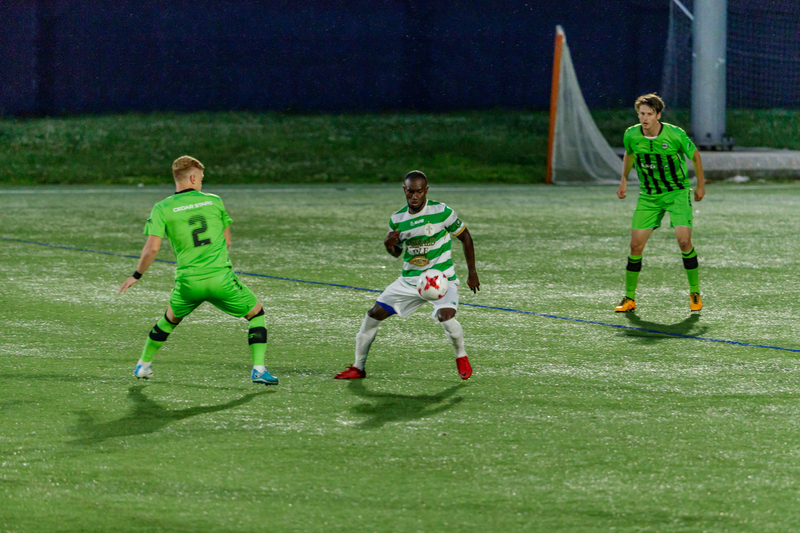 Ovan Oakley won the first Player of the Week award of the season, scoring a brace and providing one assist in Lansdowne Bhoys' 4-1 win versus Central Park Rangers Whites on opening week. However Oakley went on to playing a poor regular season—a poor regular season in his standard—registering the third most goals in the league, 12. “As I mentioned before I think individually this was one of my most inconsistent season. However I just kept my focus and continued to work hard." Oakley netted a brace in the semifinal against hte Freedoms to break a month goal drought and lead the Bhoys to a 3-0 win. Later in the final, the Jamaican’s speed was a major threat for the CSA defenders. He didn’t make it to the scoresheet but drew a 90th minute penalty kick from Daniel Cordeiro’s shoulder to shoulder challenge. Sean Kelly converted the spot kick to send the game to PKs, which the Bhoys won 4-2. The 27-year-old opened up about the controversial penalty call. “As for the PK, I think it’s interesting,” he said. “Team captain Sean Kelly has been telling me the entire season to go down in the box when I feel contact and I never did. I like to stay on my feet. But in the final I felt contact and lost my balance. Not many players can say they had a hand in half of their team's goals, Adam Himeno did so with NY Pancyprian Freedoms during the regular season. Himeno netted 14 goals, which was the second best tally in the league, and racked a team best of 11 assists. The 30-year-old's contribution for NY Pancyprians led him to two CSL Player of the Weeks, which was the second most any players tallied beside the league's MVP Christopher Katona. Unfortunately, the American was ineligible to play in the playoffs as he was serving a one-game suspension for picking up a red card in the club’s previous game. 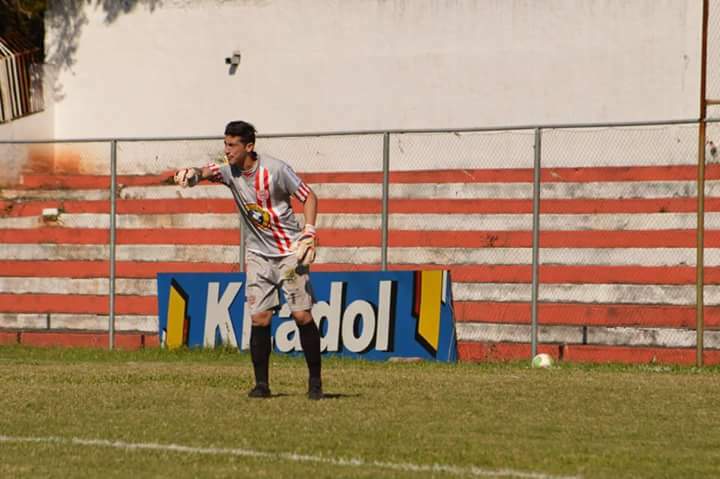 Cedar Stars Academy keeper Bryan Lopez in his days with Paraguayan side Club Sportivo San Lorenzo in 2014. When asked who was his team's player-to-watch in the final in a pre-match interview, the first name Cedar Stars head coach Oliver Papraniku say wasn’t his top scorer and assist leader Christopher Katona, nor one of his illustrious defenders, nor one of his former MLS players but he said the name of his starting keeper: Bryan Lopez. Lopez set the record for the most consecutive clean sheets in the modern era of the CSL, not conceding a goal in 10 straight games. He allowed 0.66 goals per game during the regular season. Only one keeper conceded fewer goals per game in the modern era, Lansdowne shotstopper Abdoukarim ‘Kabo’ Danso, who let in 0.62 goals a game in the 2015-16 season. The Queens native was the first keeper to be nominated Player of the Week, doing so in the 15th round after bagging five saves versus powerhouse NY Pancyprian Freedoms. Lopez held NY Greek American to one goal in the semifinal. Sadly for the veteran keeper, he didn’t get to play in the entire final as he was subbed out in the 17th minute after suffering a concussion. 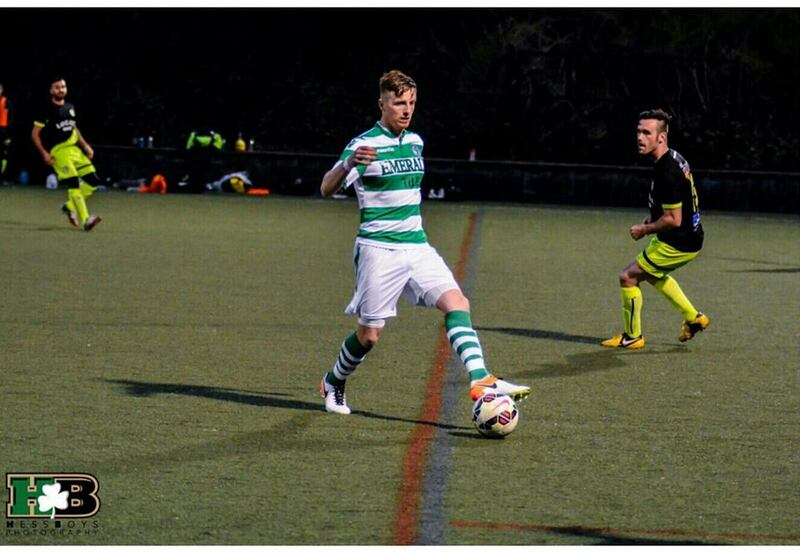 Lansdowne Bhoys captain Sean Kelly scored the most important goal of the 2017-18 season, a 90th minute PK that carried his side to a penalty shootout versus Cedar Stars in the final. The Irishman netted the first penalty of the shootout as well, which the Bhoys eventually won 4-2. But of course, Kelly is not the fifth best player of the season solely because of his penalties in the final. The 30-year-old is one of the best and most versatile center backs in the league. Coming out of Arsenal's youth system, Kelly has a tremendous soccer IQ alongside with shipshape positioning. The defender also has a knack for finiding his teammates from the back whether it is with quick precise short passes or crossfield balls and isn't a bad free kick taker. Kelly was the second best scoring defender during the regular season, finiding the net twice. 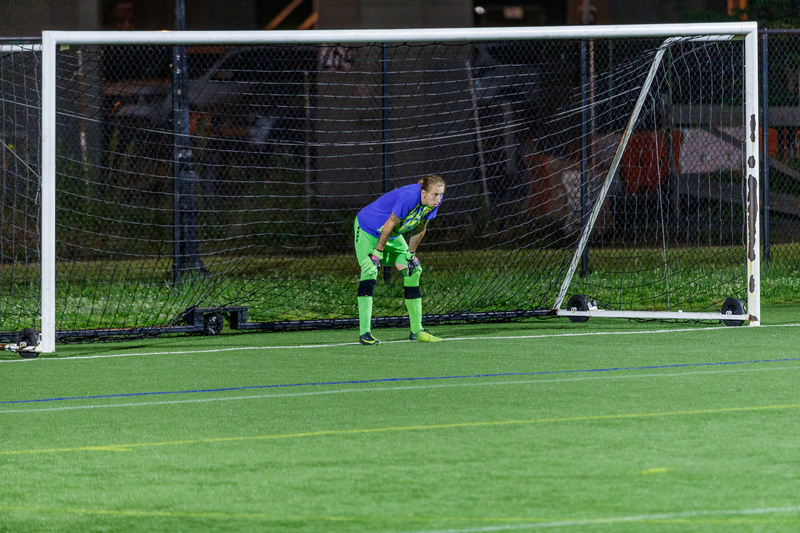 With the help of Kelly in the heart of their defense, Lansdowne conceded the least goals during the playoffs, one in two matches and the third least in the regular season, allowing 19 goals in 18 outings.